A Davos without Donald Trump ... nor Emmanuel Macron. 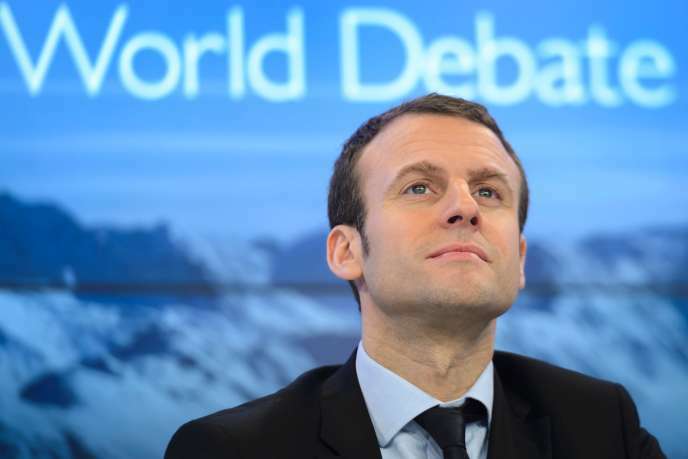 The French president announced on Friday, January 11, that he will not participate in the Davos Forum, which brings together every year in January in Switzerland the elite of the world economy, "Because of a busy agenda". If the Head of State had made a long speech at the Forum in Davos last year, the French presidents do not participate systematically in this meeting in Switzerland, which will take place this year from 21 to 25 January. The day before, his US counterpart Donald Trump also announced his absence from the World Economic Forum, due to the partial paralysis of the federal administration. On the other hand, Emmanuel Macron will gather on January 21 at Versailles 150 French and foreign bosses, for a new edition of the Choose France summit on the French attractiveness, declared the Elysee. "Our desire is to highlight the opportunities in the territories by making known the different regions and their know-how. We will also have French companies of different sizes, representing the economic fabric in regions "said the Elysee. This choice is also in line with the "yellow vests" movement, which highlighted the need to revitalize impoverished territories. This edition of Choose France will be a little different from last year when 140 leaders of major international groups came to dine in the salons of Versailles, bringing some investment announcements in France. The aim is to show examples of companies that have benefited from foreign investment, underlines the Presidency. Emmanuel Macron count also "To do pedagogy" with foreign groups to explain his reforms in France. It is also an opportunity for him, at the time when the great debate began, to show the French the benefits of foreign investment, while the movement of "yellow vests" regularly attacks multinationals, accused of avoiding to pay taxes in France.